Free QDMA color informational brochure/merchandise catalog!! MDNR State QDM Procedure Click here. Adobe Reader is required to open. Click here for free software download. 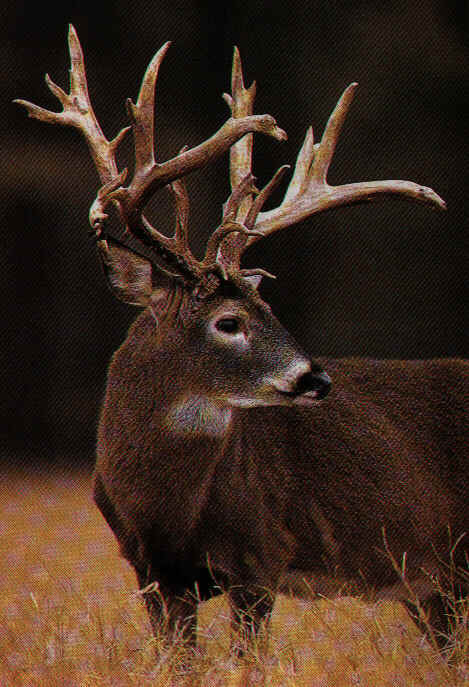 For complete list of links to MDNR whitetail deer publications & procedures Click here. 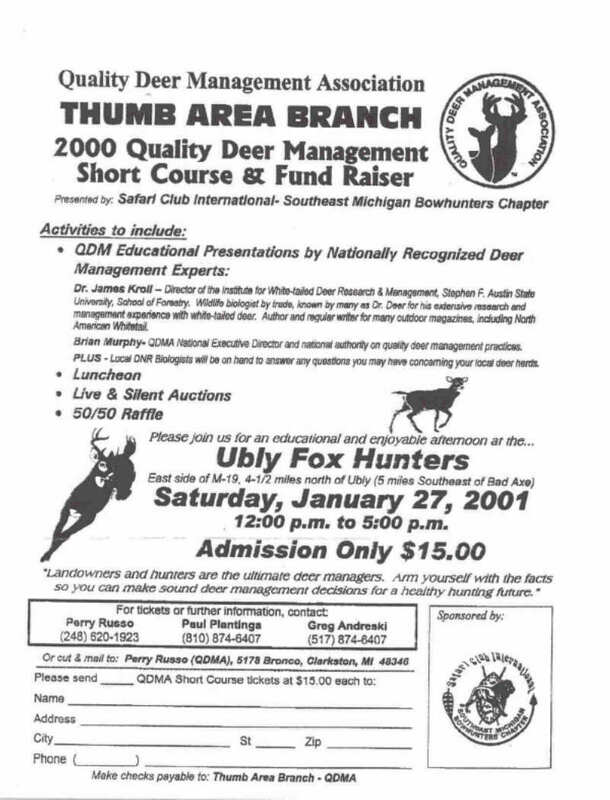 Deer Management in Michigan - 2001 - Part 1 Buck Management - March 7, 2001 MDNR presentation. Habitat Management - Food Plots!!! Is Protecting Spikes Unnecessary In The U.P.? How Old is that Deer? Five Rivers Branch Workshop, Saturday April 13, Jackson County Outdoor Club located on Hart Rd., 1/2 mile East of US-127 - Click here for details. Montcalm Branch meeting on Thursday, April 18, 2002, 6:30 pm, At the Stanton Elementary School, M-66 North of Stanton, MI. Click here for flyer. Eaton County Branch Kick-off function on Saturday, April 6, 2002 at 1:00 p.m. at the Eaton County Fairgrounds in Kardel Hall. Click here for flyer. MSU Extension - 2002 Deer Management Workshops. And Press Release Click here for March 23, 2002 Alpena flyer. February 9, 2002 Townhall meeting at Jay's Sporting Goods, Clare, MI to obtain feedback on the DMU 118 (Old DMU 107) 3-Antler Points on one side experiment. Wildlife Food Plots Book - This 76 page book contains all the information you need to plant food plots using hand-held or ATV/Garden Tractor equipment and much, much more!. Click here for details & ordering instructions. Rules Example for Hunt Club, etc. Click here to find that big buck you may be looking for! Click here for his grunt! Click here for his tending grunt!